San Diego’s premier custom caterer and culinary designer, specializing in weddings, events, and corporate accounts. 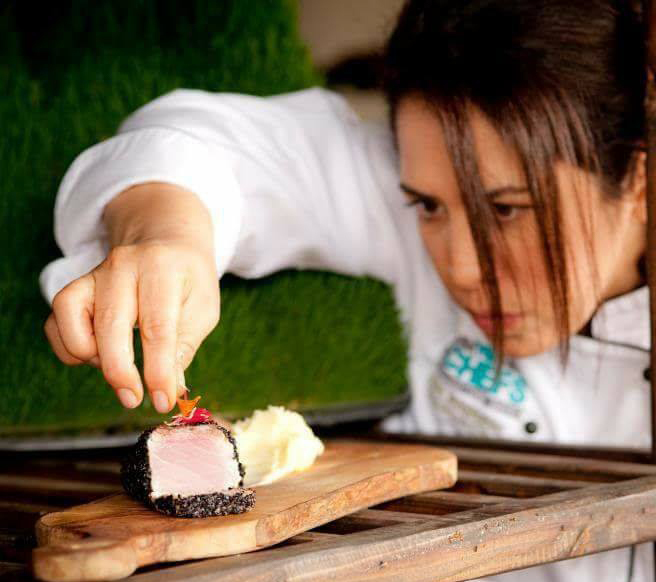 Chef Flor Franco and her talented staff create an extraordinary synergy of fine culinary arts, creative vision, extensive experience and exemplary service. From small social gatherings to grand soirees, each inspired creation is individually customized to fit your needs and is executed with outstanding attention to detail, service and with impeccable taste. As pioneers within the sustainable commercial food movement, Indulge by Chef Flor Franco takes great pride in using all natural ingredients, from Grass Fed Meats and Free Range Chicken to the most responsibly sourced seafood and garden-fresh organic produce, insuring that you receive the highest quality, most flavorful and visually stunning food for your special event. 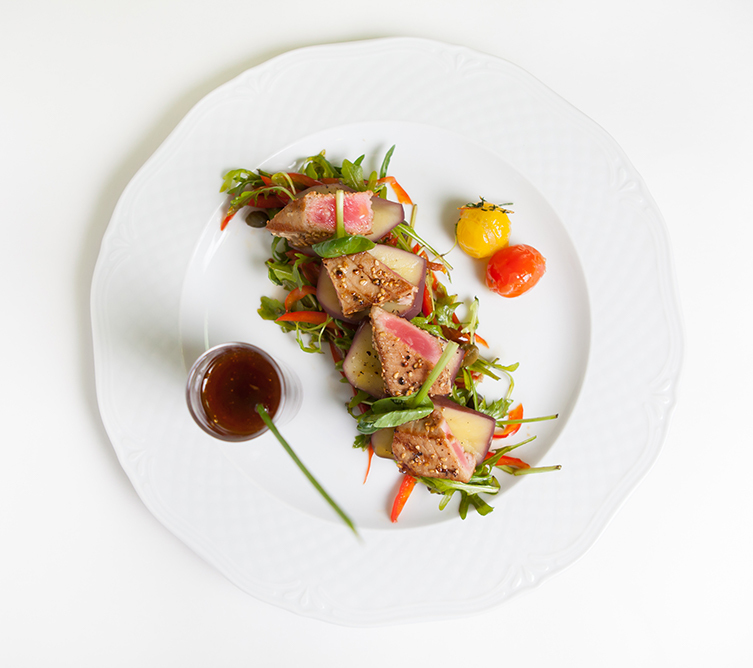 Indulge not only uses the finest quality ingredients, but more importantly, the Indulge Team is educated and experienced in carefully executing flawless menus for even the strictest diets. From gluten-free to Vegan and Glatt Kosher, Indulge has the knowledge and expertise to satiate the most discerning and uncompromising palates. From planning to service, the Indulge Team is committed to helping you make your event the perfect representation of your most inspired vision. Working closely with you to tailor a menu to your precise requirements, paying particular attention to providing value in all our services and ensuring strict adherence to the highest culinary standards, we aim to make each event a unique celebration that will leave a long-lasting, grand impression on you and your guests. Winner of Wedding Wire’s highly coveted 5 Star rated “Brides Choice Award”, as well as earning a place on the “Best Of” Top 5 A-List, Indulge by Chef Flor Franco is San Diego’s top choice for excellence and quality, and is regularly featured at San Diego’s most prestigious society and charity galas. ”I wanted to thank you Chef Torrey and Chef Flor for what was the highest quality catered event we have had at Jack Simon Vineyards. As expected, the paellas, charcuterie, bread, deserts and coffee were of the highest quality I’ve seen and presented creatively and thoughtfully. The service was meticulous yet appeared effortless. Your food suggestions paired perfectly with the Jack Simon Vineyards wines presented at the event. I have had many comments from guests as to how beautiful and exciting the food was. “The extreme planning, coordinating and professionalism of Tonya coupled with the warmth and delicious menu of Flor, equals excellence. Get in contact with us today to book your event! View our menus and explore custom options. Check out our venue partners for hosting your event.